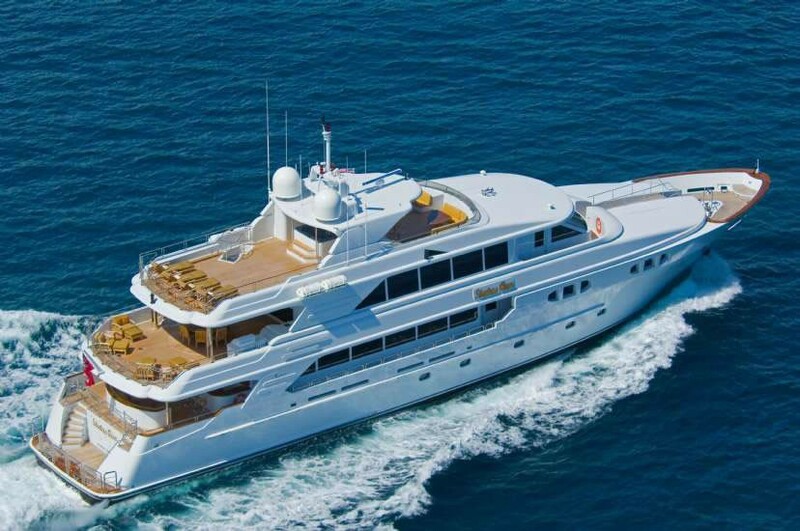 PLAYPEN (ex Crowned Eagle Status Quo, Princess Sarah) is a luxury motor yacht, which was built in 2007 by Richmond Yachts and measures 4.28m (142ft). 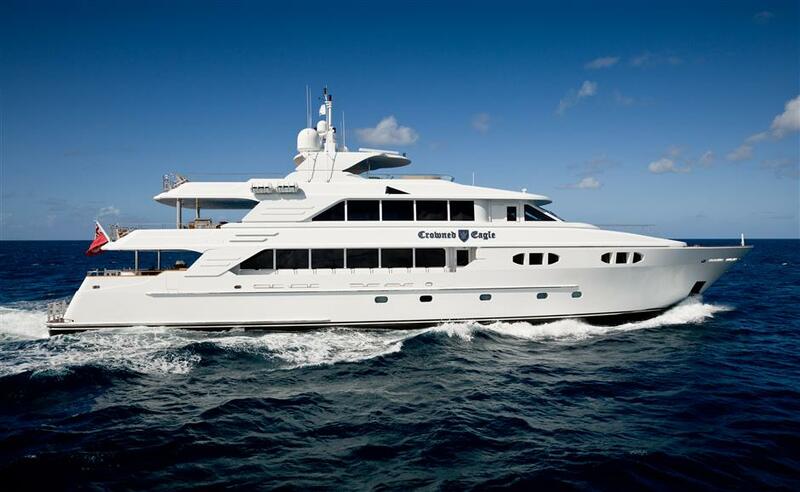 M/Y PLAYPEN made her debut on the charter market in 2013, offering deluxe accommodation for up to 12 guests. 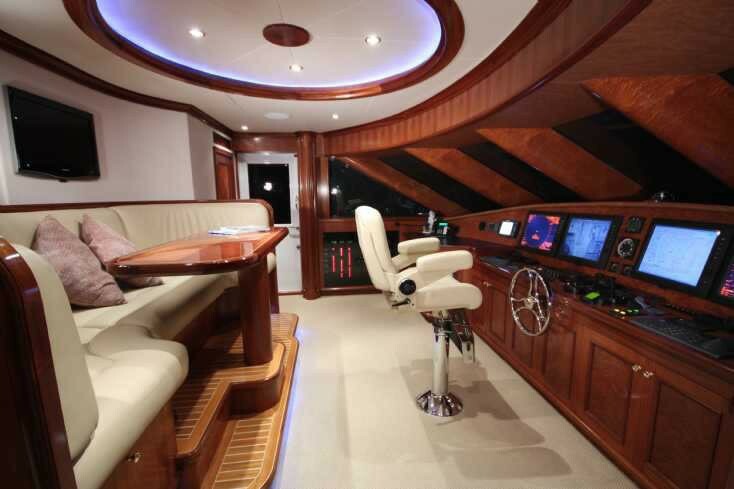 Her naval architecture is the work of Stetzer Design Group, and she features interior design by Sea Pavlik. 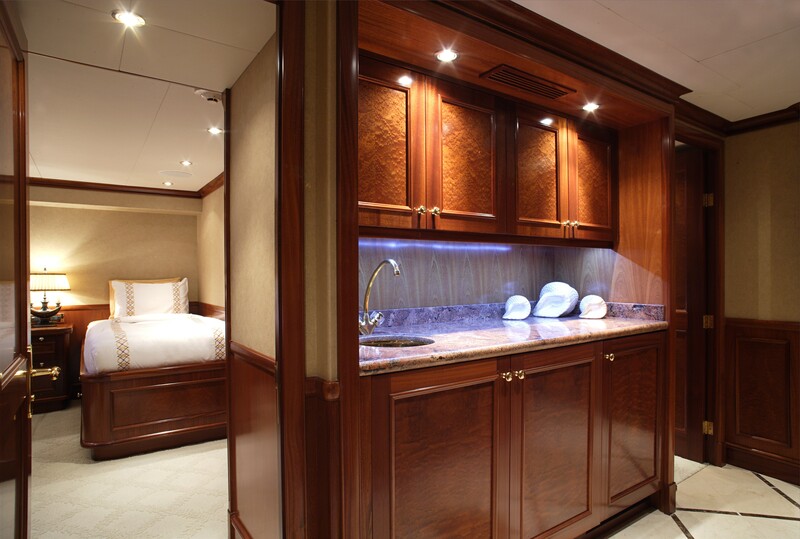 PLAYPEN has an elegant, refined décor, rich woods, bespoke furnishings and contemporary toned fabrics, create a warm welcome and soothing ambience. 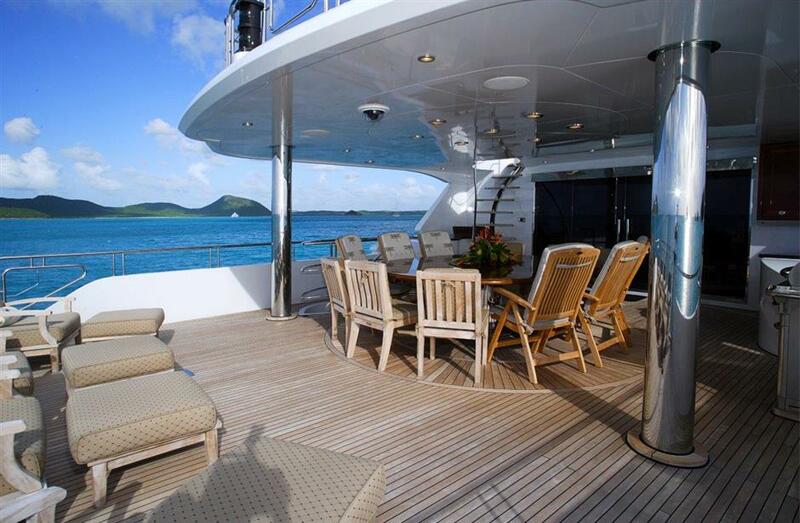 PLAYPEN offers plenty of interior space, ideal for large groups to enjoy and socialize. 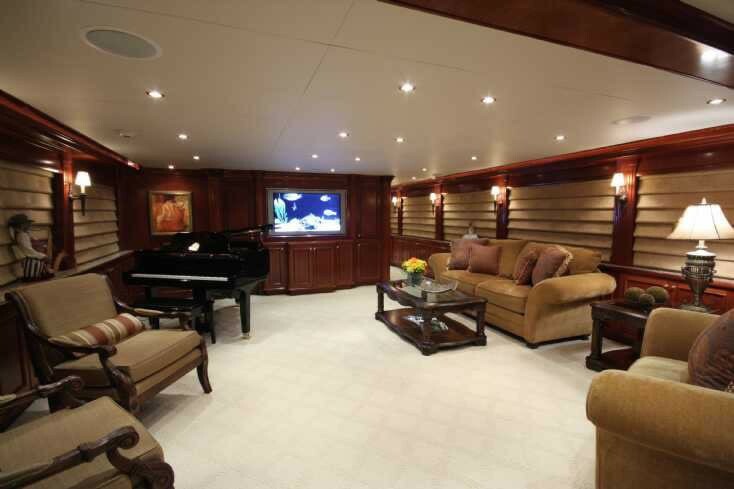 The salon is generous and boasts leather furnishings, coffee table, TV / Music entertainment and Yamaha Disklavier piano. 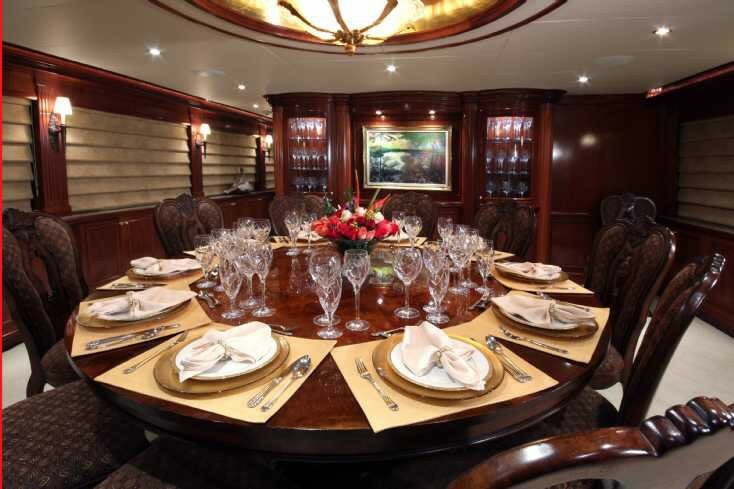 Forward and separate from the salon, is the full beam formal dining room, easily seating all guests in style. 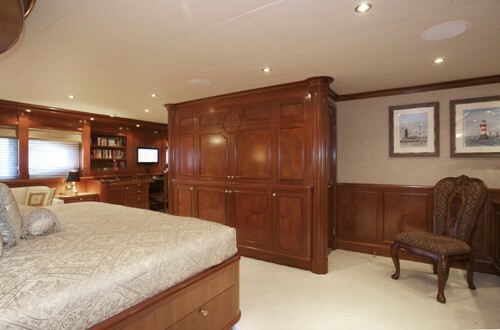 A day head, wine cellar and the galley are amidships, while forward on the main deck, is the full beam master stateroom. 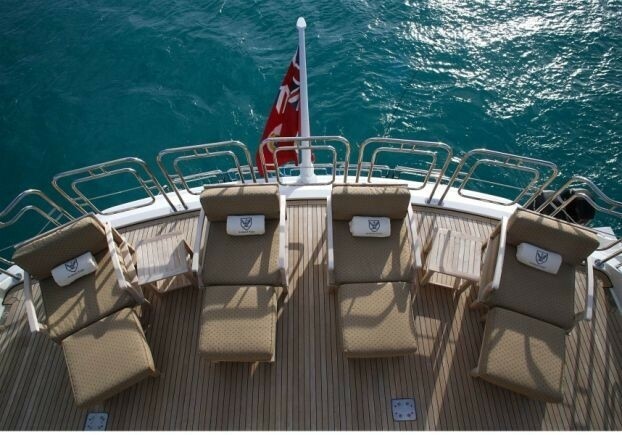 The upper deck features a spacious sky lounge, offering ample leather soft furnishings, games table, entertainment systems and marble-topped wet bar. 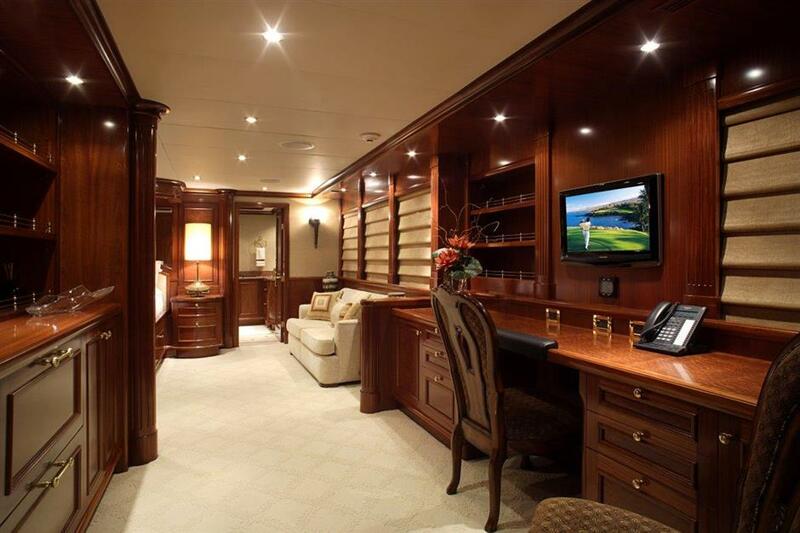 Forward and port of the sky lounge is the VIP cabin, followed by the pilot house. 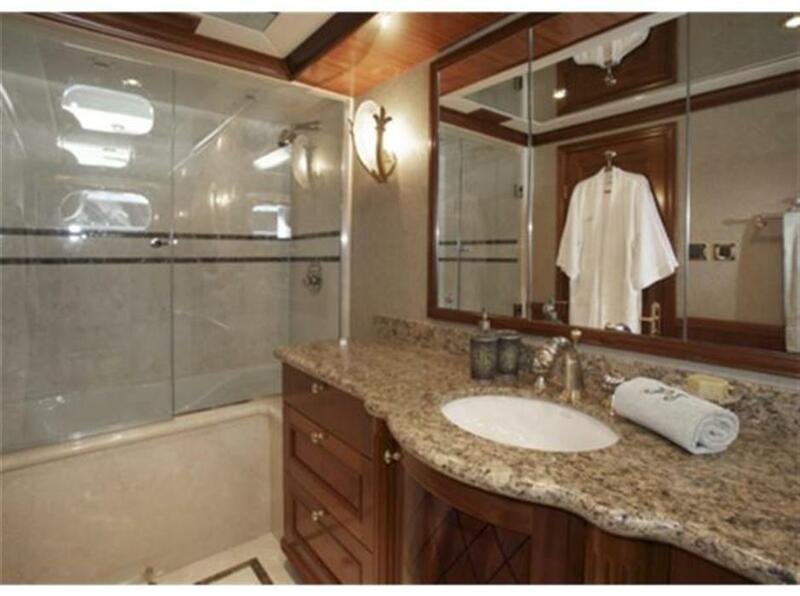 Below decks are four further guest cabins, all with en-suite facilities. 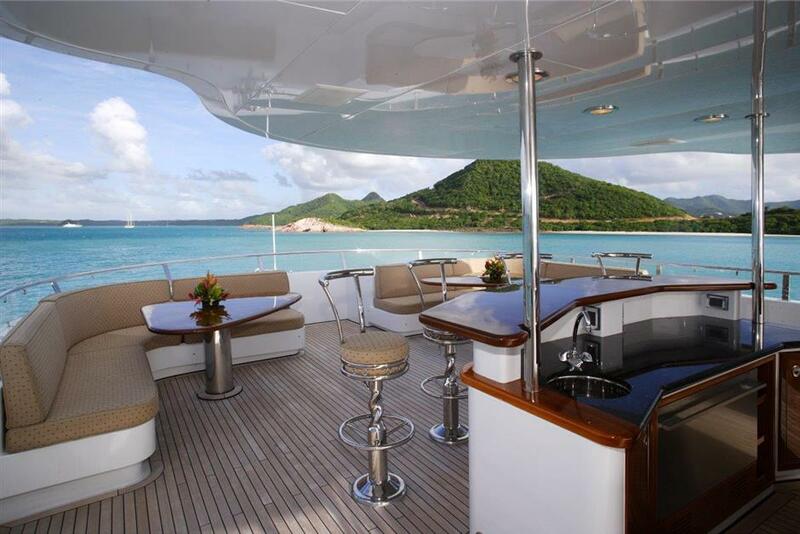 All interior areas are light and airy thanks to the large panoramic windows and ports. 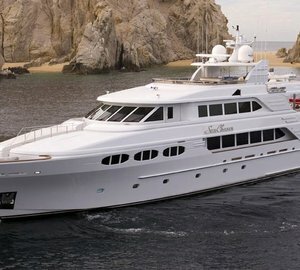 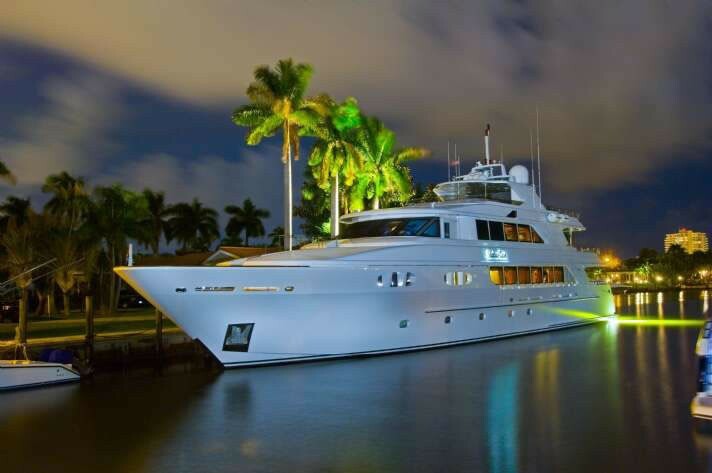 M/Y PLAYPEN is a tri-deck, custom-designed yacht and is perfect for exterior living and entertaining. 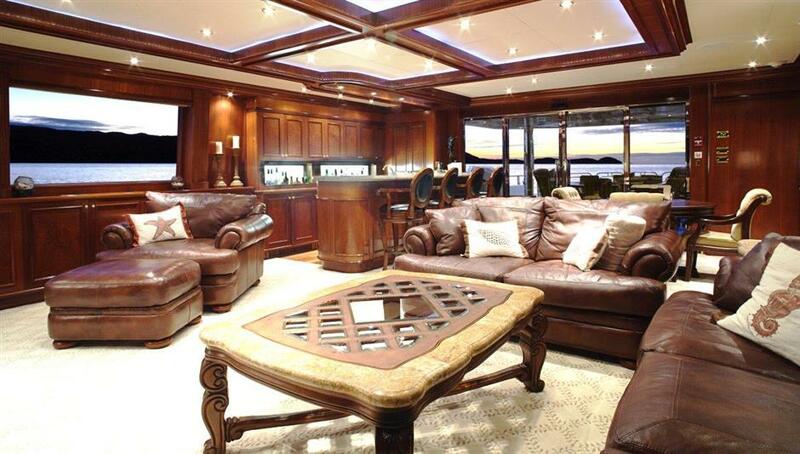 Aft of the main salon is a shaded deck with alfresco dining option, TV / Music entertainment and full wet bar. 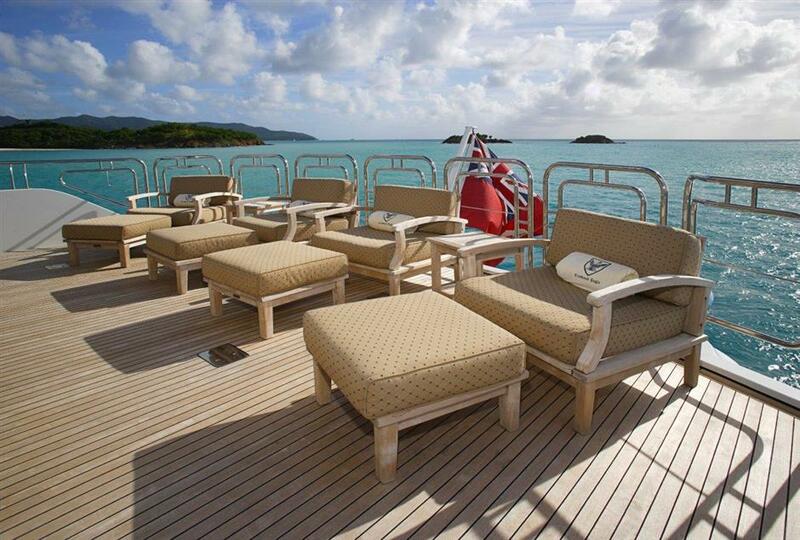 Adjacent the sky lounge is a large partially shaded deck, complete with an alfresco dining option, TV / Music entertainment and chaise lounges. 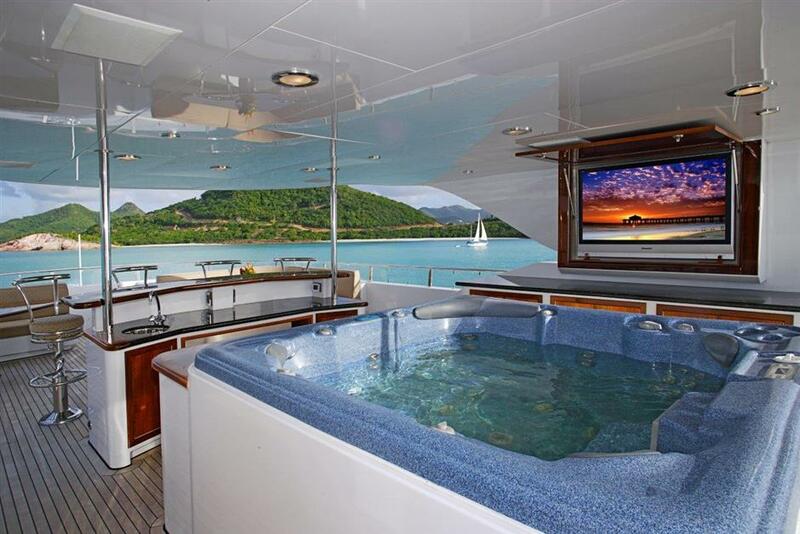 The upper deck aboard the yacht PLAYPEN boasts a further alfresco dining option, wet bar, Jacuzzi tub and additional TV / Music entertainment. 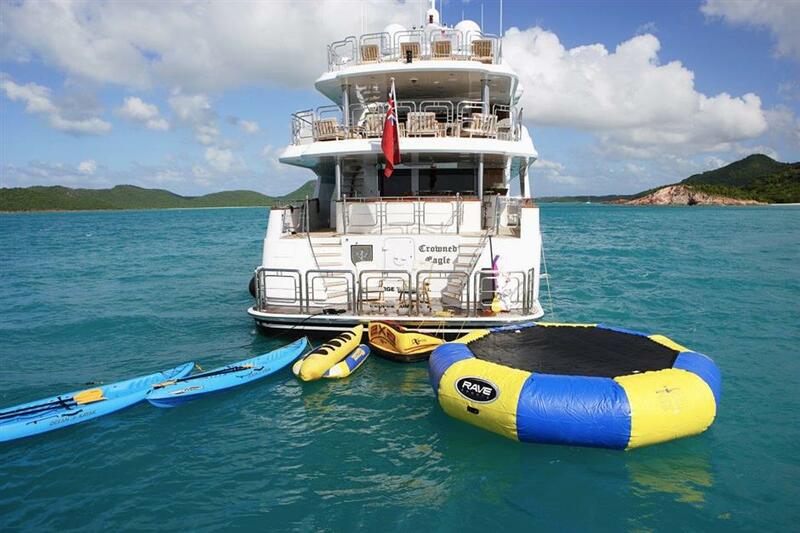 With an extended swim platform, guests may effortlessly enjoy the great selection water toys on offer. 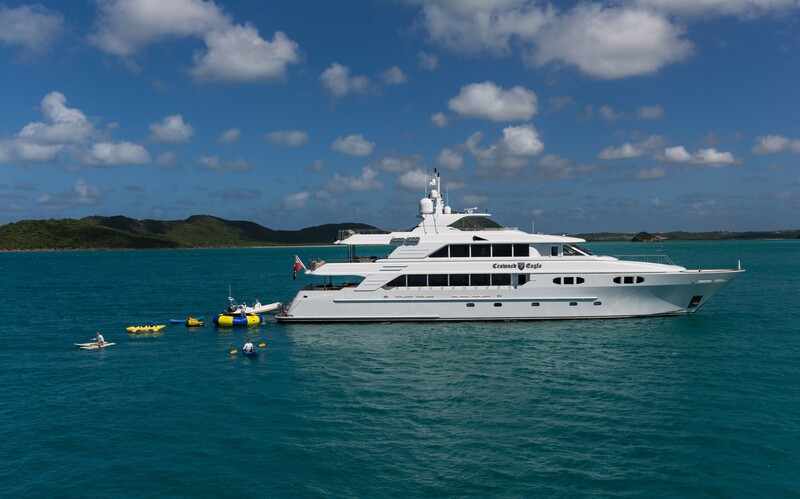 Motor yacht PLAYPEN is powered by 2 x CAT 2490hp engines; her zero speed stabilizers will ensure a smooth luxury charter yacht experience. 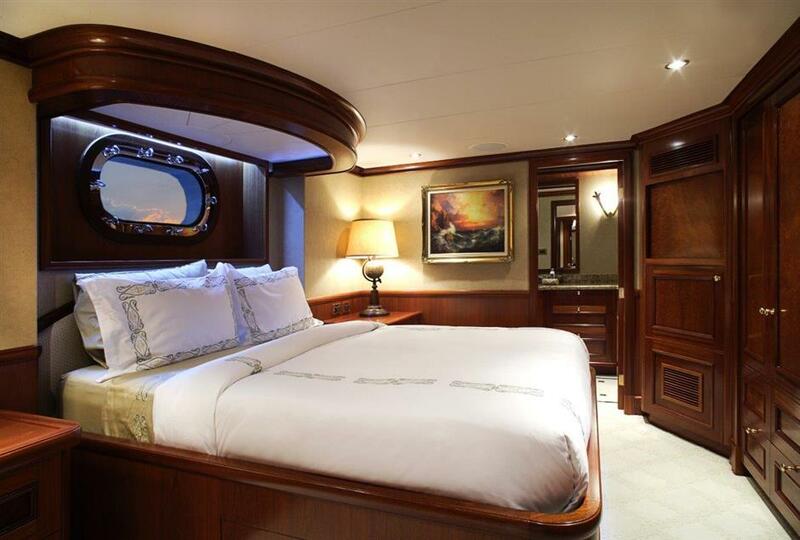 Accommodation on the CROWNED EAGLE motor yacht is in 6 en-suite deluxe cabins, for up to 12 guests. 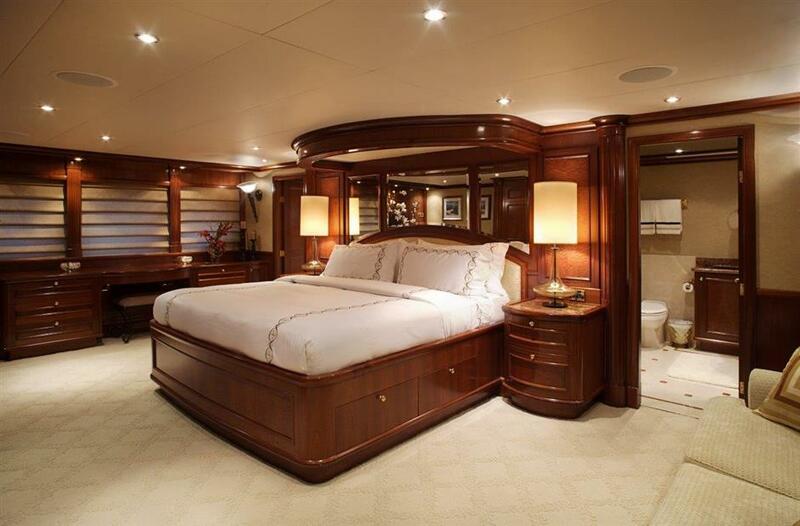 The master stateroom is on the main deck, forward and full beam of the yacht, with a center lined king size bed, vanity, sofa, private study, fridge units and his and hers facilities. 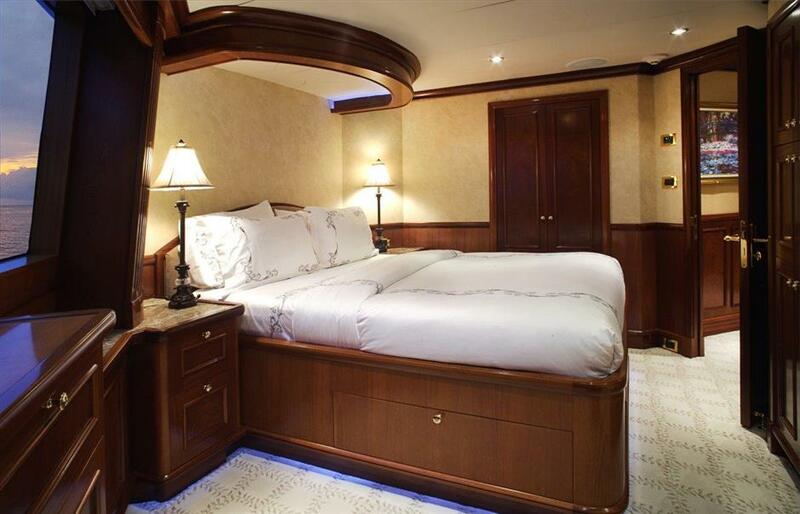 The VIP cabin is on the upper deck to port, offering a queen size bed. 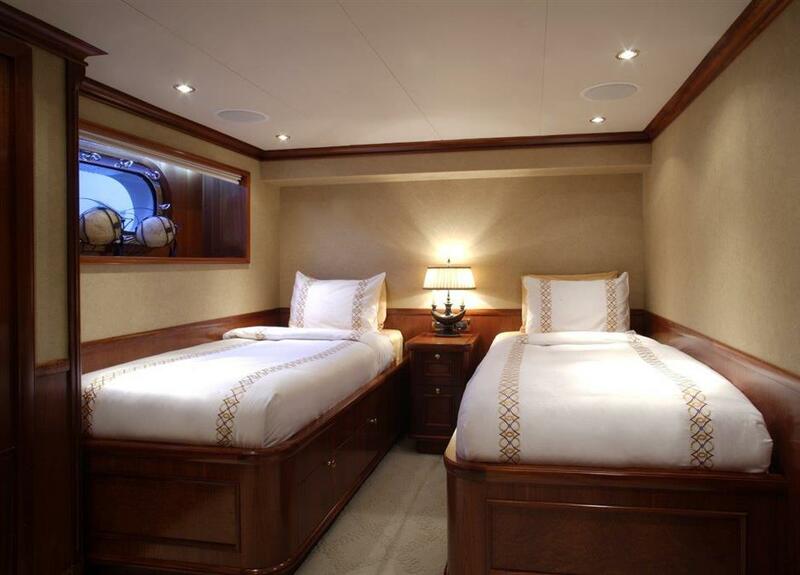 Below decks are 2 double cabins and 2 twin cabins. 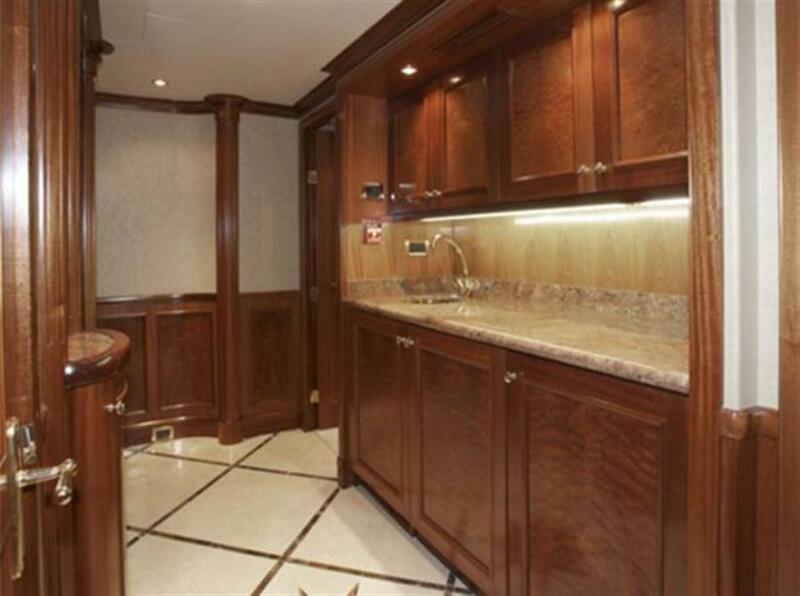 A centralized foyer on the lower deck offers a well-appointed refreshment area for guests.